About the Company: Haynes and Boone, LLP is an American Lawyer top 100 law firm, with more than 575 lawyers in 14 offices and 40 major legal practices. 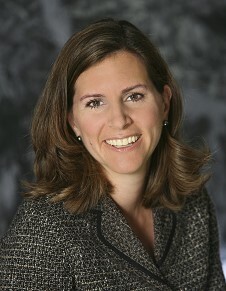 Laura O’Donnell is a Partner and leads the firm’s Wage and Hour Litigation Practice Group. She is Board Certified in Labor and Employment Law by the Texas Board of Legal Specialization. Laura specializes in FLSA collective actions and state wage and hour class actions as well as class discrimination, particularly EEOC claims of systemic discrimination. About the Program: This year, the North Chamber and Haynes and Boone, LLP will present an Annual Employment Law Update for the 14th consecutive year. The Employment Law Update is a one-day seminar that provides valuable information on current liability trends and strategies to reduce employers’ exposure. The seminar is presented by experienced Haynes and Boone attorneys who exclusively practice labor and employment law and is ideal for human resources professionals, business owners, managers and executives.